Open UBC is held in conjunction with the International Open Access Week, which encourages the academic community to come together to share and learn about open scholarship initiatives locally and worldwide. Two days of diverse events will highlight areas of open scholarship that UBC’s researchers, faculty, students and staff will participate in as well as guests from the global community. Themes will include: open education, open research, open access in the arts, open science, open data, and altmetrics (alternative metrics). All of these events are FREE and open to the public, students, faculty, staff and schools. This year’s Open UBC events will be held October 31 to November 1, 2012, in conjunction with UBC’s Celebrate Learning Week. All sessions will be held in the Lillooet Room (301), of the Irving K. Barber Learning Centre at UBC unless otherwise stated. Full schedule of Open UBC events at: http://scholcomm.ubc.ca/events/oaweek/schedule-at-a-glance-2012/. Open UBC (formerly “Open Access Week” – OAW) events are archived in cIRcle at: https://circle.ubc.ca/handle/2429/2689. Past event topics included “Canadian research libraries”, “Creative Commons licenses”, “Electronic archiving”, “Electronic publishing”, “[the] Public Knowledge Project”, “Research grant agencies”, “[Author] Rights retention”, “Scholarly communication”, “University-based research” and more. 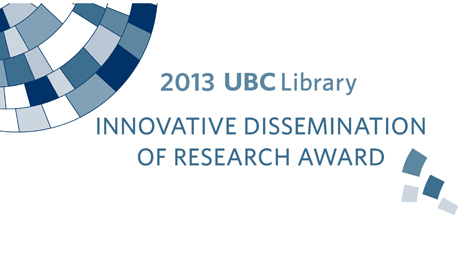 Who will be the next Innovative Dissemination of Research Award winner for 2013? Nominations are now open and the application deadline is on Monday, November 26, 2012 by 5pm. 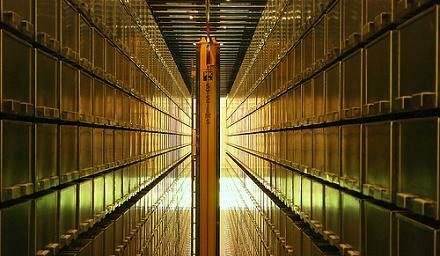 In its third year, this award (established by the UBC Library in 2010) focuses on new and innovative ways of communicating and disseminating knowledge. It honours UBC faculty, staff and students who are employing innovative approaches to research dissemination through the creative use of new tools and technologies. The award winner will be formally recognized at the annual Celebrate Research Week gala held in March. The award includes a $2,000 cash prize and a framed certificate. Could this year’s Innovative Dissemination of Research Award be presented to you or someone you know? Visit the Scholarly Communications @ UBC website to learn more about the award eligibility criteria, past award winners and honourable mentions at: http://scholcomm.ubc.ca/award/. And, visit cIRcle at: https://circle.ubc.ca/handle/2429/33850 to see which previous award honourable mention has collectively received 600+ views to date. The 2012 Innovative Dissemination of Research Award winner (Dr. Daniel Pauly and his team for The Sea Around Us Project) is one of the keynote speakers showcasing their work at the Open UBC event on Thursday, November 1st at 1pm. Open UBC events are FREE and open to the public, students, faculty, staff and schools. 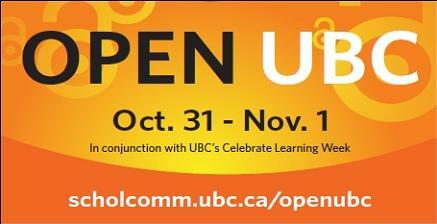 Learn more about Open UBC at: http://scholcomm.ubc.ca/events/oaweek/. Above image is courtesy of UBC Library’s Photostream on Flickr at: http://www.flickr.com/photos/ubclibrary/4093904130/in/set-72157594487219892.